A few days ago a website reported that the 'Prabhas - Rajamouli' movie is being put on hold for various reasons like the movie is very highly budgeted and that Rajamouli is next going to do a movie with Jr.NTR etc. Director Rajamouli himself has now cleared the air by tweeting that his next movie after 'Eega' will be the project with Prabhas and that shelving of the project is not true but only a rumour. Well, it seems the rumour mongers of a few cheap websites can't remain silent. 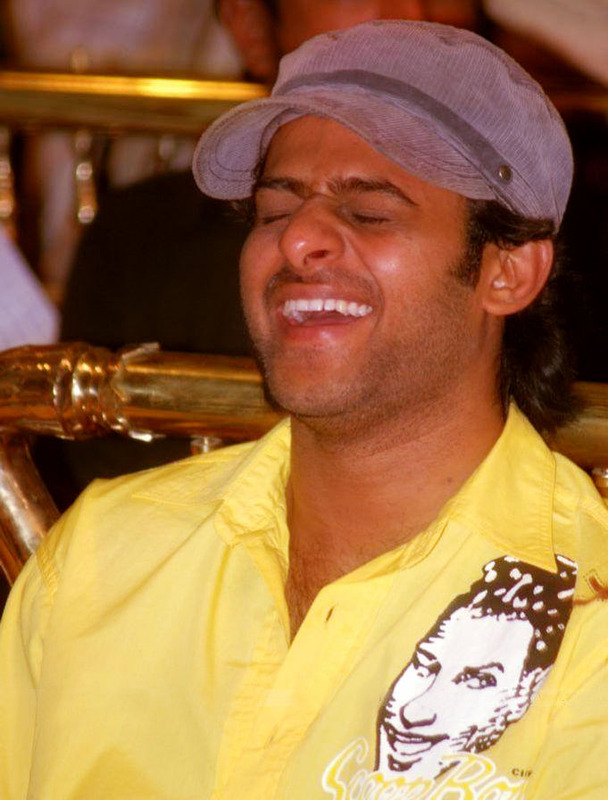 They've started spreading rumours that Prabhas is building a coterie of filmy personalities of his community. This is the most ridiculous thing i've heard. Having grown this big in just about nine years, Prabhas doesn't need a community tag like others to prove or promote himself. I also request all Prabhas fans not to put a community tag to Prabhas. You should like a person for what he is and not for what community he belongs to. How can that happen? Even more ridiculous is that some sites have started to compare Siddharth Rajkumar with Prabhas. C'mon guys, there's a limit to being silly! Siddharth is just a young kid on the block. Just let him grow and prove himself.